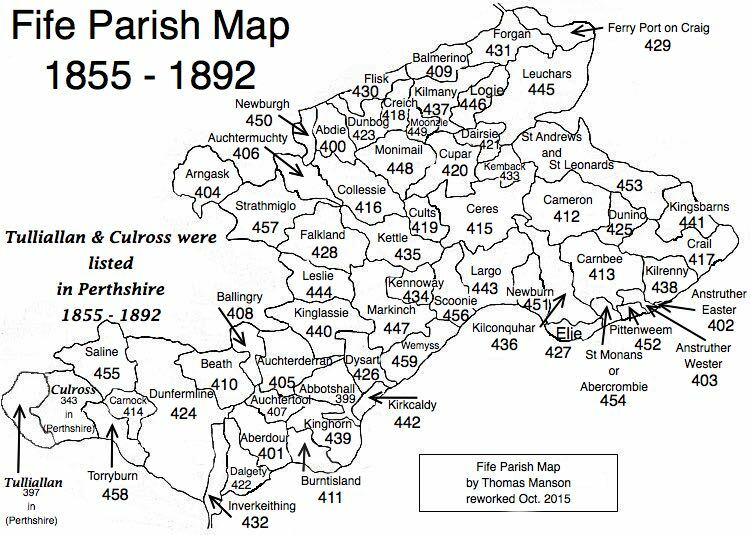 Parish of Ballingry – The Fife Post………..for genealogy and historical information. BALLINGRY, a parish, in the district of Kirkcaldy, county of Fife, 3 miles (N. E. by E.) from Blair-Adam Inn. This place is supposed to have derived its name, of Gaelic origin, from its having been, at one time, an occasional residence of the Scottish kings. The church is a substantial and neat structure, erected in 1831. Ballingry is said to signify the village of the cross, and to be compounded of the Gaelic word Bal, a village, and the initials inscribed on crosses in the fields, J.N.R.J. for Jesus Nazarenus Rex Judaeorum, or Jesus of Nazareth, King of the Jews. The population in 1755 was 464, in 1799 was 220, and in 1831 was 372. Produce of grain of all kinds as well as potatoes, turnips, and hay are grown. There are two coal works within the parish but no limestone at present. A new parish church was built in 1831. The number of families attending the Established Church is 53 and that of Dissenters is 16. There is one parochial school, built in 1825. There are two ale house but there is no drunkeness. The above extract is taken from the account written in December 1837.